We’re obviously not the first to share diversity data publicly. Our goal in releasing this report is to contribute to a conversation about inclusion and diversity that goes beyond metrics—which is why our report includes an analysis of our employees as they self-identify and information on employee retention and satisfaction. Inclusion is an often-overlooked tenet of building a diverse workforce. It is our commitment to current and potential employees to create an environment where all feel both represented and supported. We want our employee base to be as diverse as the seller population we serve. We’re not there yet, though year-over-year progress indicates diversity at Square is trending in the right direction. We believe ongoing improvements to sourcing and hiring processes are driving some of this progress. We don’t subscribe to a “pipeline” excuse; we’ve been able to draw from the current pipeline, in particular for new college grads. For example, while 18% of computer science graduates are women, during campus recruiting season last year, 30% of our new grad engineering hires were women. We’ll continue to look beyond traditional recruiting channels and referral networks. 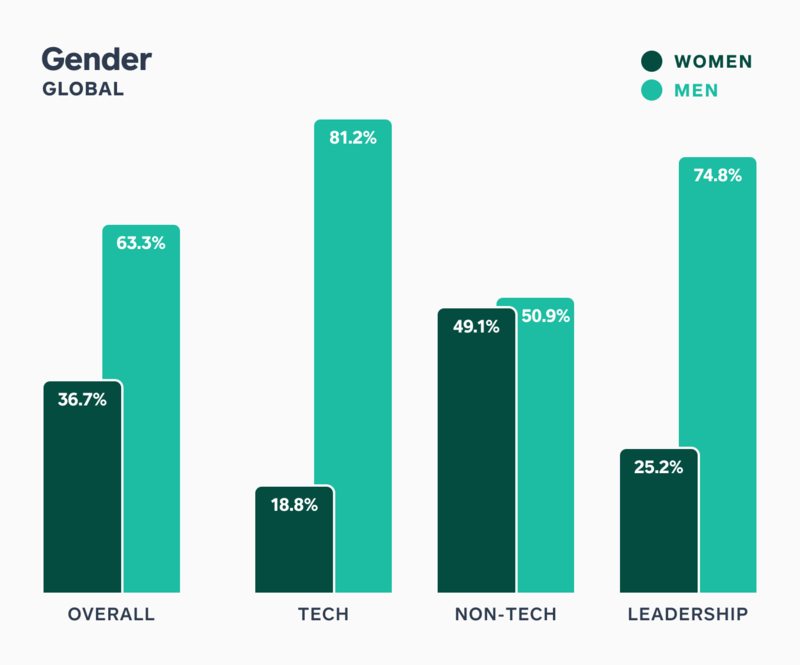 We’re proud of the fact that 45% of our executive team are women; further, these leaders oversee traditionally male-dominated areas (engineering, finance, legal, and lending) that comprise more than 60% of Square’s employee base. Diversity also means differences in experiences, backgrounds, and perspectives. This year, we completed our first Inclusion Survey, which measured our employees’ self-identified demographic information, along with concepts like fairness, belonging, and voice, enabling us to evaluate how different demographics—including intersectional identities—feel about life at Square. The Inclusion Survey enabled us to look beyond just gender and race in measuring our workplace. For example, survey results showed that one percent of our employees identify as having a disability. One percent are veterans. English is not the first language of more than 30% of our employees. 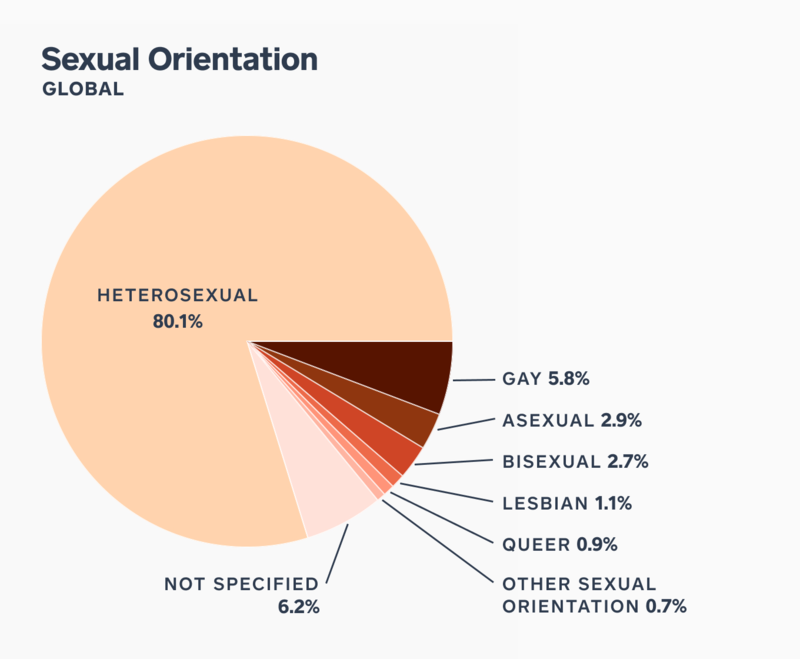 Eighty percent of our employees identify as heterosexual, and our employees identify across the gender identity spectrum. Encouraging employees to self-identify enables us to capture a more accurate snapshot of our employee makeup, take the temperature of how people feel at Square, identify problem areas, and work to improve. You can see sample questions from our survey below. Over the past year, we’ve set goals around creating an inclusive culture where all employees feel they are valued, recognized, and able to succeed. Companies sometimes focus more energy and attention on employees they don’t have, as opposed to those they do, but setting and meeting aggressive recruiting goals doesn’t matter much if you can’t develop and retain the people you hire. While we employ a broad spectrum of initiatives to cultivate an inclusive environment, we also leverage data to measure whether these tactics are successful. We found no difference in overall retention rates when comparing across gender and ethnicity. In engineering roles specifically, average one-year and two-year retention rates are higher for women than men, and higher for underrepresented minorities than for other groups. Over the past year, the resignation rate among women was lower than men. The difference is even greater in engineering roles, where women left at half the rate of men. The resignation rate for underrepresented minorities is almost half that of other groups at Square, overall and in engineering. Square’s purpose is economic empowerment: we’re working to foster an environment where all sellers have equal access to opportunity. Just as we prioritize inclusion for our sellers, we’ll continue to do the same for our employees. Tech, or technical, roles include: engineering; analytics/data science; product design; technical product managers; IT; and software QA. Underrepresented minorities include: Black or African American; LatinX; American Indian or Alaska Native; Native Hawaiian or Pacific Islander; and Two or More Races. Ethnicities are based on EEO-1 categories as is standard practice in most reports. Given there are limitations to this data, we gave employees the chance to select multiple, more detailed options in our Inclusion Survey. Note we analyzed our employees’ self-reported race/ethnicity and gender metrics from our Inclusion Survey against collected EEO-1 data and found the data sets to be consistent. Leadership: Represents the most senior 10% of Squares, a clear inflection point in terms of management responsibility and scope of role. Retention rate: Percent of people within a hire cohort who stayed at least a given length of time (i.e., one-year retention rate is the percent who stayed at least one year). Resignation rate: Number of people who resigned from Square, divided by average headcount for the time period. Gender metrics include all Square employees. Race/ethnicity metrics include only U.S. employees so as to adhere to local laws in other countries in which we operate.